When will Mr. robot season 3 premiere date. New release date on DateReliz.com: trailers, spoilers, cast. Mr. Robot season 3 release date is still unknown, but it’s said to be in 2017. USA Network has decided to cast some other episodes of the popular series Mr. Robot. Who knows, maybe this time Elliot finds the answers to all the questions which he is concerned about. Are Darlene, Angela and other characters to help him or are they simply the part of him? Mr. 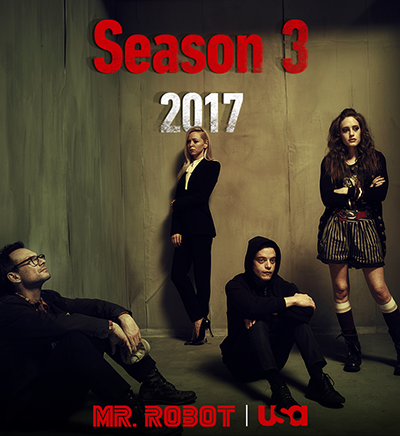 Robot season 3 release date is said to appointed in the 2017. If you still didn’t find perfect series for yourself or doubt whether it would suit you read this article. For the first time it appeared in America last year. With it being a psychological thriller it gained it’s popularity too fast. 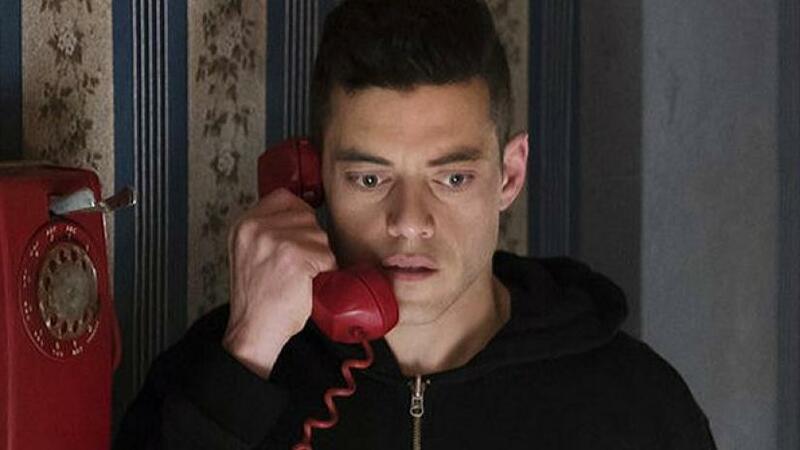 However, the author of the series Sam Esmail had to take a prolonged break to turn out later in summer 2016 with a new episode of the second season. 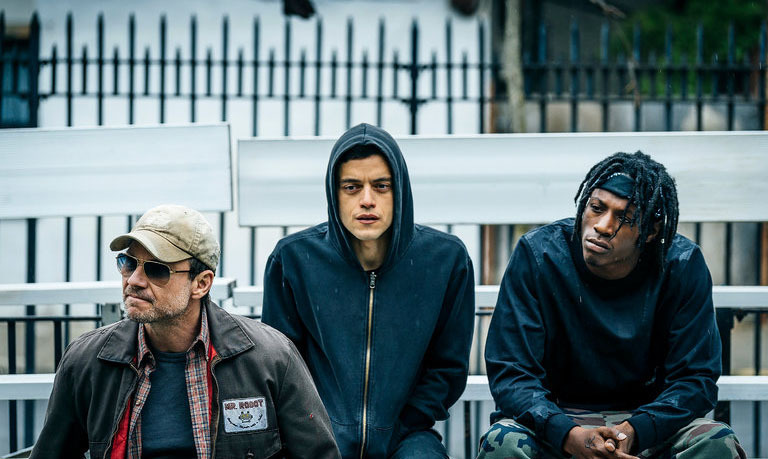 Sam Esmail didn’t work out it alone. Being engaged in a union of Universal Cable Productions, Anonymous Content and Esmail Corp, he also recruited a brilliant team of Steve Golin and Chad Hamilton. Probably it won’t be a surprise for you that at first Sam aimed at creating a film but during the process it’s grown into the series with a scenario constantly expanding and developing. The main character is Elliot Anderson who's an asocial cyber security expert consumed by depression and mental disorder. Once he met a Mr. Robot that offers him an unusual job. This mysterious persona attracts Elliot by giving him a chance to participate in an anti-corporate mission. The latter has to hack the computers in the corporation where Elliot's working. The goal is to decrease the debts of consumers. However, the story isn't only about illegal business, it turns around Elliot's questions about his personality and his choices. The distinction between real life and his own world are difficult to differ, because it's almost blurred. 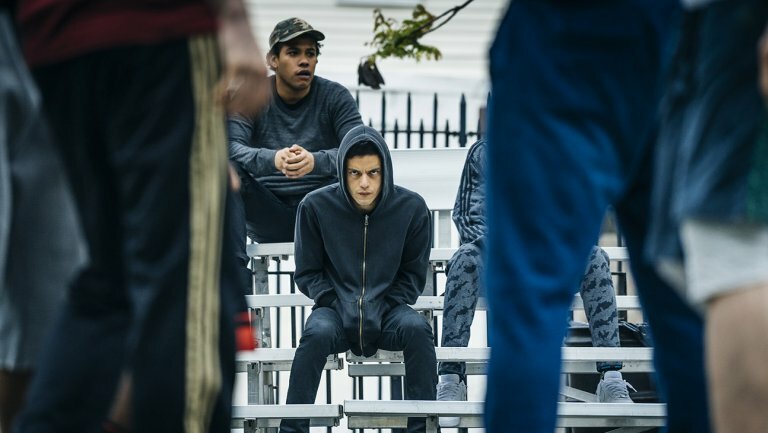 The second season is more dedicated to Elliot's character. It also reveals the mystery of his childhood, the essence of White Rose, Darlene and Angela. So, let the story begin. Mr. Robot has a not so long story of existence, but it was already rewarded, though. Among the prizes are a Peabody Award and a Golden Globe for Best Television Drama Series. Kaspersky top manager, Costin Raiu has also praised the series for it's realistic hacking and IT security displaying. The series can also be praised for a number of viewers. With the first season it was more than 1,7 million people and with the second one is 1,04 million which is still more than good. On critical websites it's gained impressive results: 8.8/10 on IMDb, Metacritic has given 81% and Rotten Tomatoes - 98%. It's unclear yet which results one should wait in connection with the season 3, but follow us and we will let you know all the details as soon as possible. The second season premiere appeared in America and with no much popularity among viewers it was closed in September 2016. However, it has remarkable rating on Rotten Tomatoes (94%) which gives a chance to the third season. I recall that in last episode Angela met an unusual acquainted, Darlene understood the seriousness of what is happening, Elliot discovered some unpleasant things which made him think that he wanted to be a part of this scenario no more because it could lead to some innocent victims. Elliot couldn't put up with Tyrrell being unreal, but the latter shot him by the gun he had stolen from Darlene. At the very end Trenton came to an idea how to cancel the hack... what's next? We're waiting for the 3 season air date which is in 2017 to disclose all the rest secrets.